Differentiate true and false information about a subject. Test knowledge of a subject in an ungraded format. 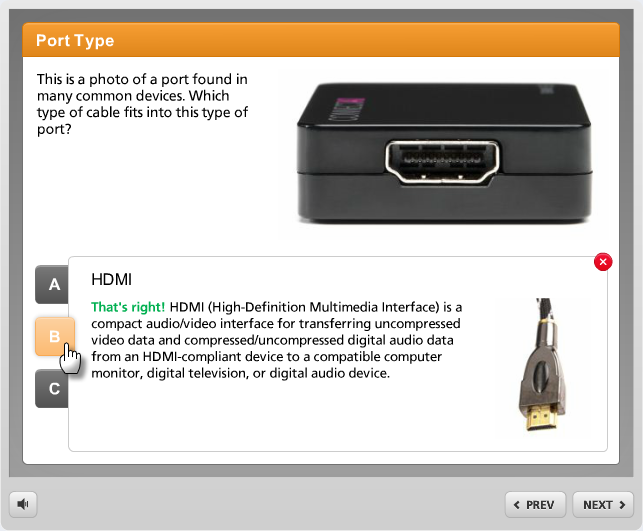 Steps: Located on the left side of the screen, this panel is used to manage choices for your interaction. 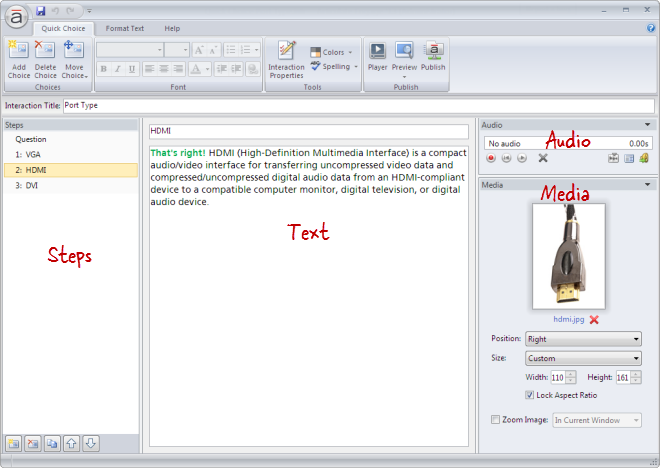 Text: Located in the middle of the screen, this panel is used to add text to each choice. Go to the Quick Choice tab on the ribbon, and click Add Choice. Click the Duplicate button at the bottom of the Steps panel to copy the currently selected choice(s). New choices get added just below the choice that's currently selected in the Steps panel. 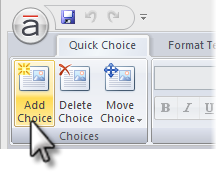 Double-click the choice in the Steps panel to open it for editing. Enter the new name, and press the Enter key. 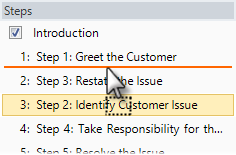 Select the choice in the Steps panel, and type the new name in the title field at the top of the text panel. Drag them to a new location in the list. An orange line will move with your mouse to indicate where the choices will be when your mouse is released. 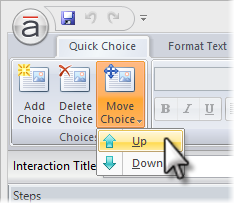 Go to the Quick Choice tab on the ribbon, click Move Choice, and select either Up or Down. 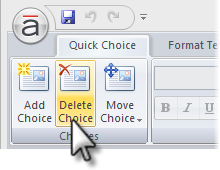 Go to the Quick Choice tab on the ribbon, and click Delete Choice. Go to the Quick Choice tab on the ribbon, and click Interaction Properties. Select the Quick Choice tab on the left side of the window. 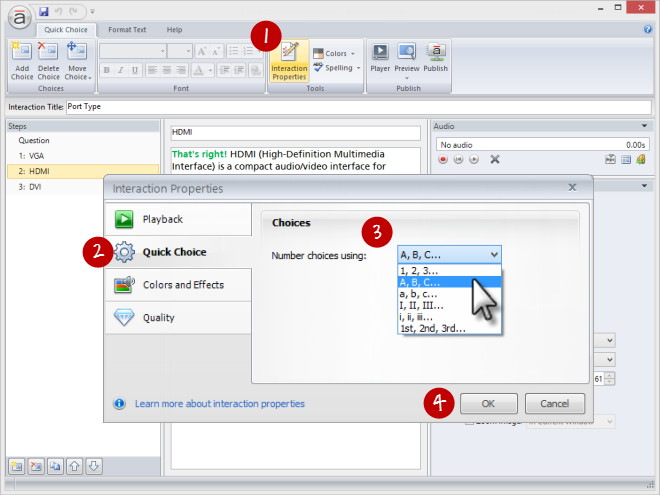 Choose a numbering style from the Number choices using drop-down.